Happy Monday! I hope you all were able to take a drive to see our beautiful forests with their autumn coats on…simply spectacular I must say! We have a few changes coming your way as well that we hope you will enjoy. Our newsletter will now be published on Monday’s. This will allow John and me to have some quality time together on Sundays. As previously mentioned, we are also publishing it on our website, www.patchworkquiltshamilton.com. Please help us spread the word to those who cannot get it by email. 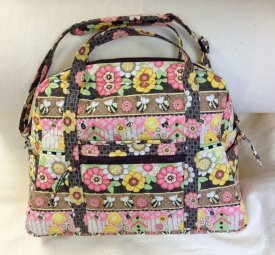 You must go to our website www.patchworkquiltshamilton.com to download the block patterns. The blocks will be published on our website every Friday (starting this Friday, October 30th) at 5:30 pm. The patterns/blocks will only be on our website for ten (10) days so make sure you visit weekly. 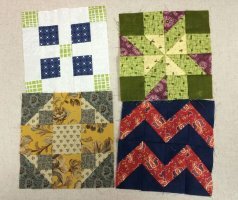 Send a picture of your completed blocks to us at sew@patchworkquiltshamilton.com to enter a drawing for a $50.00 gift certificate. The drawing will take place at the end of the program; sometime in January, 2016. By sending us your photos, you are also giving us permission to post them on our web, Facebook, and other social media sites. 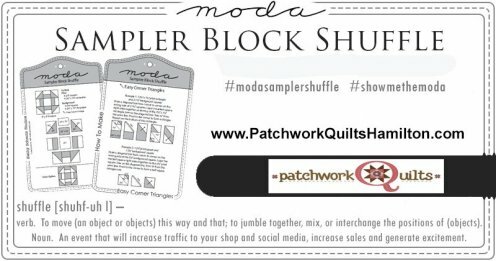 In the next couple of days, John will be adding a SAMPLE SHUFFLE section to our website that includes additional details. You can sew the blocks up right away, collect them for yourself, and/or gift them to friends. The more participants we have, the more fun we will have - so join in! 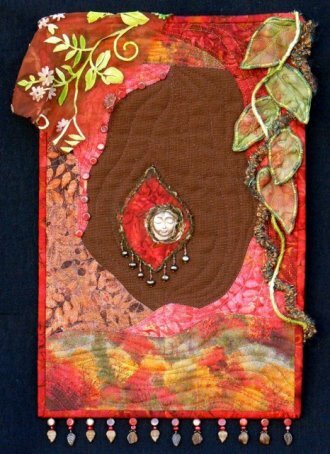 We are so excited that our nationally recognized quilt artist/author, Heidi Zielinski, will start her 4-part series on Embellishing Wall Quilts on Thursday, October 29th. This will be great for not only art quilters, but can add so much to our traditional quilting as well. Heidi is always full of wonderful tips and inspiration. You may register for all four or just one or two; however, you do receive a discount for all four. We still have some space, so please call us to reserve your seat in this great class. The ever popular Carry-On Bag class is being given again this Friday and Saturday, October 30 and 31st. Come join us for some frightfully fun instructions. 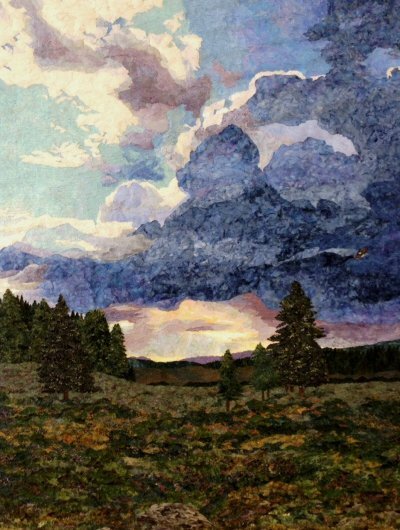 It is with great pleasure that I share with you that our own Pat Thompson won several awards at the recent Spokane Quilt Show. Pat wrote in an email, “I got three ribbons. WSQ Quilt Show First Place...I assume that is first place in the art quilt category; Inland Northwest Machine Quilting--Honorable Mention; and WSQ Quilt Show--Vendor's Choice Award. I was just hoping to place and wasn't going to be surprised if I didn't. O.K. Full disclosure. I'm really tickled.” Many of us were able to watch Pat as she worked on this piece most every Wednesday at our Open Sew. Congratulations Pat! 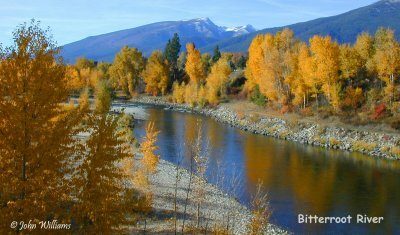 We are so proud of you and honored that you represent the Bitterroot Valley so well. Well, change is definitely in the air, and for me it is a good thing. Remember however, “The more things change, the more they remain the same.” Our love for quilting and sewing will never change. 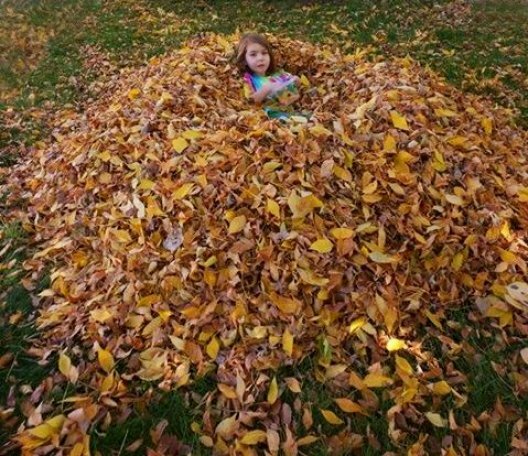 Got extra leaves? Send them to our granddaughter Violet!